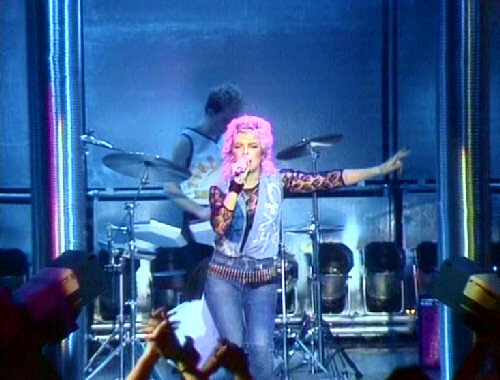 Kim sings 'Love blonde' and 'Dancing in the dark' live to a recorded backing track. 'Love blonde' is an instrumental version of the single version, whereas 'Dancing in the dark' sounds very different musically. Kim is backed by her own band. They are performing in front of a live audience.